This web-site contains relevant information in the area of mammographic image analysis. It was developed to become the information pool for the mammographic image analysis research community. It could be an entry point for novices as well as a centralized information resource for experienced researchers. 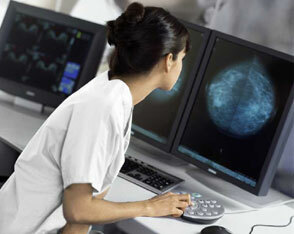 Special emphasis is given to computer-aided detection and diagnosis (CAD) in digital mammography (breast cancer research). New papers page is updated (with title, authors and link to 24 new papers). New papers page is updated (with title, authors and link to 29 new papers). New papers page is updated (with title, authors and link to 34 new papers). Two journal special issues and one related book added to Journals and Books page. Mammographic Image Analysis Homepage is launched. For further information about this web-site, please click on the first icon (General Info) on the top menu of this page or follow this link.